The cause of migraines is not completely understood and various theories exist to explain this debilitating condition. A few current theories include vascular disturbances, neuron depression, and local inflammation. The main symptoms classifying migraines are intense head pain with or without visual auras, nausea, dizziness, and light sensitivity. Epidemiological research by the Center for Disease Control (CDC) reported that nearly 3 million males and 9 million females within the US are chronic sufferers of migraine headaches. Migraines are most common in adolescents and young adults with 30% of migraine sufferers reporting their first attack occurring before age 10. Reports by the CDC indicate a dramatic decrease in migraine occurrences in adults over the age 64. Most sufferers, as much as 70%, report a family history of migraines. Stress, allergies , muscular tightness, pregnancy, menstruation, alcohol ingestion and some diuretics can trigger migraines. However, if someone suddenly begins having migraines without a prior history of headaches, or if headaches intensify with every incident, consult your healthcare provider to rule out any potential life threatening diseases. Acupuncture can treat the acute pain and also the underlying root cause of the episodes. Acupuncture is often applied along with soft-tissue therapy over the scalp and cervical region to provide rapid relief. Electro-acupuncture is also an effective tool that affects the neuro-muscular zones associated with migraine headaches. Herbal therapy can also be used to prevent the occurrence and severity of future attacks. Western treatments include analgesics and/or vasoconstrictors such as Ergotamine, Aspirin, and Ibuprofen. Pharmaceuticals are often prescribed with an antiemetic to improve the absorption of the migraine medication. Pharmaceutical medications are numerous, with new drugs being made available in many forms, including oral, inhalants, injections and suppositories. Consult your physician or pharmacist to determine which medication is most suitable for your condition. For a migraine with mild symptoms, aspirin or Ibuprofen may be recommended along with the three S’: Solitude, Silence, and Sleep. Ice packs can be applied to help with the pain and cause vasoconstriction of the blood vessels. Eating foods appropriate for the individual and engaging in regular exercise will promote cellular health and vascular functioning. Avoid tyramine-containing foods such as aged cheese, yogurt, beer, wine, liver and yeast. Observe your eating and activity patterns to identify habits that provoke migraine incidents. Acupuncture, applied by a licensed practitioner, not only effectively treats the acute symptoms but also addresses the underlying imbalance within the body. Herbal therapies are an important component towards prevention of migraine headaches and are usually given in formulas containing more than 10 different herbs. Feverfew, Tanacetum parthenium, shown to reduce the severity, duration and frequency of migraine headaches and lead to improvements in blood vessel tone. Magnesium, which influences cerebral vascular tone, inhibition of vasospasm and platelet aggregation. Niacin (vitamin B3), which causes vasodilation. Ginko, Ginko biloba, is a platelet-aggregating factor (PAF) antagonist. Self-medication with herbs or supplements is not recommended. Consult a qualified practitioner prior to taking herbal or dietary supplements for appropriate dosage and frequency. 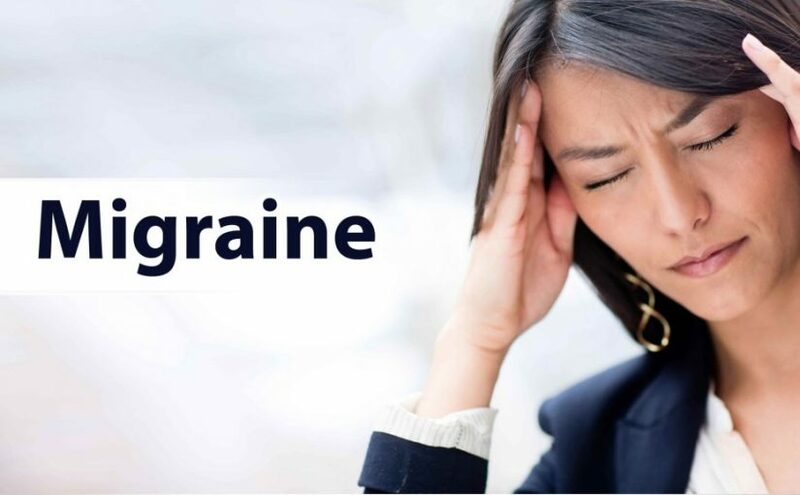 Most common allergenic foods associated with migraines being wheat, oranges, eggs, coffee and tea, chocolate, milk, beef, corn, white sugar, yeast, mushrooms and peas. Grant ECG. Food allergies and migraine. Lancet 1979; I:966-9.